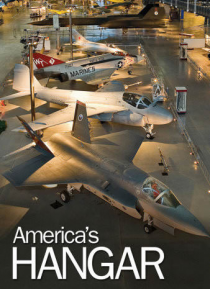 In this exciting tour of the National Air and Space Museum- Smithsonian Networks puts you in the cockpit. From humble beginnings to the sprawling institution which has become the most visited museum in the world- the story of our struggle to leave the ground is embodied in the machines that carry us. Our HD cameras are your eyes as you view the epic achievements of the first century of flight. See… famous "space race" aircraft like Sputnik and Apollo 11.